The Atacama’s are no ordinary range of umbrellas! They are the strongest and most durable tensile fabric umbrellas & parasols in the World! Designed and engineered to be left open all year round regardless of the wind, rain, sun or snow. 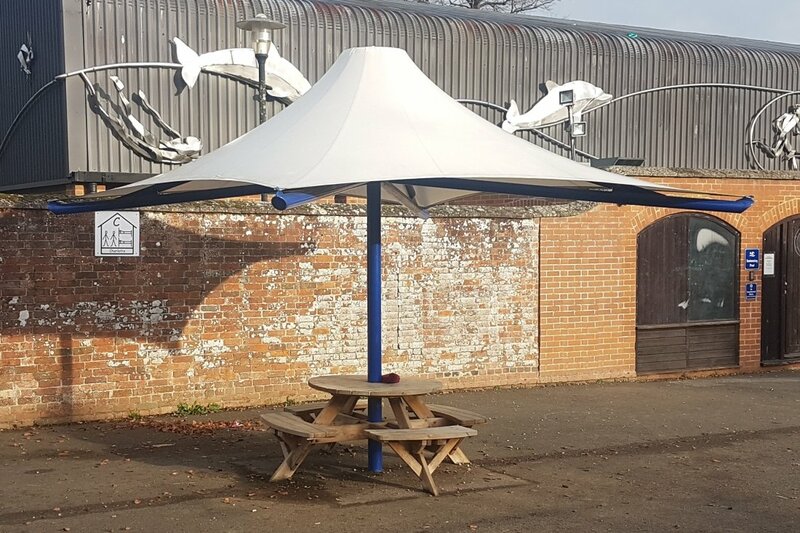 The Atacama is supplied with a waterproof and 100% UV blocking tensile PVC canopy. We use Serge Ferrari 502 PVC, which not only provides the highest quality available in the market today but also the largest colour range. The canopy can also be printed on and branded, using the same technology as is applied to the sails of offshore racing yachts. The structural steel frame can be galvanised, painted, powder coated or a combination of these and any RAL colour can be chosen at no extra cost. Like all our of fabric structures, the Atacama comes with a 10 year warranty and an expected life of over 20 years. Lights and heaters can also be specified as can a socket base which allows the mast to pass through tables.